Optical Character Recognition (OCR) is the electronic conversion of scanned paper documents or images into editable digital files. 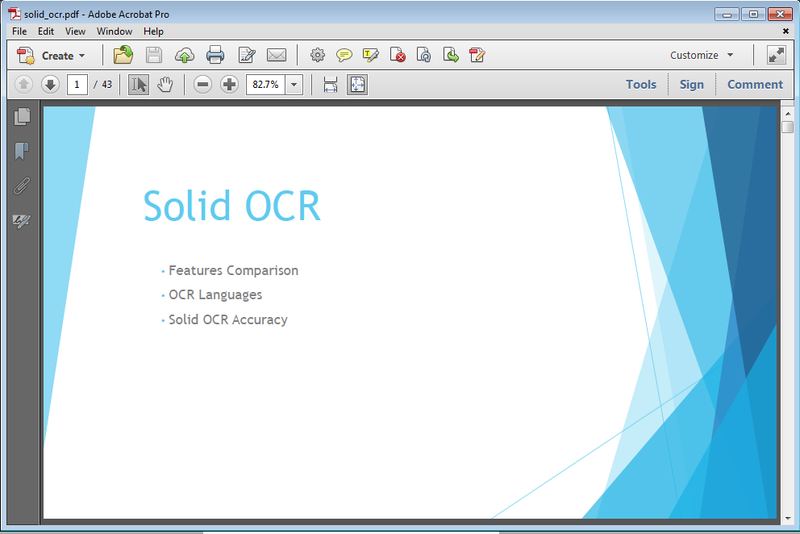 Solid OCR was developed because there are more and more legacy scanned files that require editing or updating and we need an affordable high quality solution for our own Solid Documents end-user products. As with our other reconstruction technology, Solid OCR is available for licensing by 3rd party application developers through the Solid Framework SDK. High quality optical character recognition in 14 languages (English, Danish, Dutch, Finnish, French, German, Italian, Norwegian, Polish, Portuguese, Russian, Spanish , Swedish and Turkish) for reconstructing scanned pages as editable documents.